Smart Partnership, Smart Community | Winter Haven Economic Development Council, Inc. Imagine an innovative community that embraces new technologies, new residents and cutting-edge opportunities. While Winter Haven already fits that description, a new Smart Communities Assessment will recommend more ways to move forward, thanks to a recent partnership between the Winter Haven Economic Development Council (WHEDC), the City of Winter Haven, Polk Vision and Florida Polytechnic University. You may have heard the term Smart City or Smart Community. Polk Vision describes a Smart Community as one that has affordable and accessible high-speed internet access that facilitates many critical activities. To Winter Haven, it’s that and more. City governments and communities around the world are using new technology and innovative thinking to solve local problems or capitalize on opportunities to make their communities better. 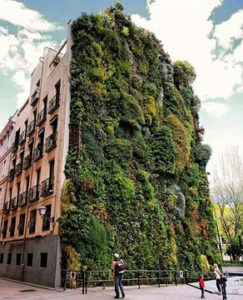 Some examples of these novel solutions include smart parking systems in downtowns; green walls that beautify, filter carbon dioxide from the air, and reduce heating effects of the sun; predictive policing through sophisticated machine learning techniques; or a one-stop government center where citizen engagement, questions and concerns can be managed efficiently for both the citizen and the city. To help determine our next steps, interns from Florida Poly have been conducting the assessment this year by interviewing Winter Haven residents, businesses and government leaders. The students have also conducted extensive secondary research to identify innovative opportunities in Government, Environment, Community Health, Infrastructure, Public Safety, Transit and Transportation, Business and Innovation, and Housing and Commercial Development to develop an array of Smart Community project options and investment opportunities. The research looked at projects that have been implemented and proven valuable in other communities, not only in the U.S. but also worldwide. Proceeds from Polk Vision’s Smart Communities speaker series are helping fund the assessment. The international research conducted by the student team was useful not only to the success of the project, but also in providing them valuable work experience. 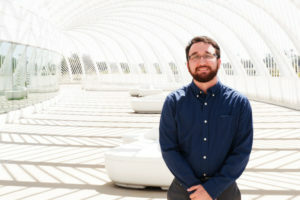 Kyle Cook, one of the six Florida Poly students taking part in the assessment, is a senior majoring in computer engineering with a focus in embedded system design. Cook says the concept of making a community “smart” is much more than throwing a bunch of technology at cities and using sensors. “In addition to cutting-edge technology, it’s a matter of using existing technologies in ways that aren’t implemented in the general Winter Haven community yet,” Cook said. Our community is ideally positioned to take advantage of that technology due to strategic planning of previous investments. The City of Winter Haven has long pioneered the installation of fiber optic cable for broadband access, and now has over eight miles of conduit and fiber currently installed and another 25+ miles soon to be installed. Winter Haven has also invested heavily in trails, water quality initiatives for our lakes, storm water rain gardens, parks and recreation and so much more. These public investments are balanced with more than $100 million recently invested by the private sector in our downtown, and one of the highest residential growth rates in the state that is bringing thousands of new residents to Winter Haven. Building on Winter Haven’s rich fiber optic network and the rapidly expanding business and residential markets, this assessment will offer high-value, innovative, Smart Community ideas for implementation in the coming years. Bruce Lyon, president of the WHEDC, is pleased with the partnership with Florida Poly and its student intern team. “These students are developing ideas and recommendations from projects that have been implemented and proven valuable in other communities worldwide,” Lyon said. “We’ll be able to take those successful Smart Community efforts and customize them to meet our needs.” Lyon hopes that the assessment becomes a replicable model for future use in other communities. After the assessment recommendations are presented to the WHEDC Board in May 2018, the next step will be a review to determine which ideas create the best opportunities for both timely implementation and community impact. Decisions can then be made about community improvements that will make our lives healthier, easier and more productive while expanding our economic base through innovative deployment of new technologies. From idea to assessment to implementation – now that’s smart!